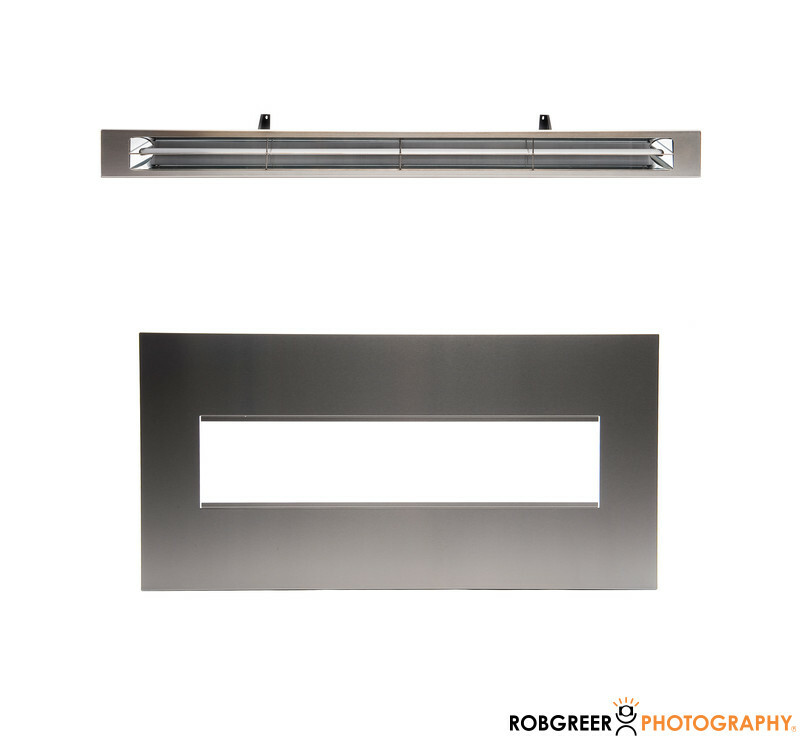 This reflective brushed stainless steel is representative of my product photography. These items are industrial ambient heaters. And they really were great, because I had several of them in my old downtown studio. The object in the top part of the photograph is the heater, while the bottom object is a casing that goes around them. Of course these images are not to scale but are simply positioned in this way to illustrate my ability to show my product photography of stainless steel objects.